From IMF chief economist Gita Gopinath to Uber’s Komal Mangtani, several women from India this year have made headlines in the traditionally male-dominated domains of STEM. 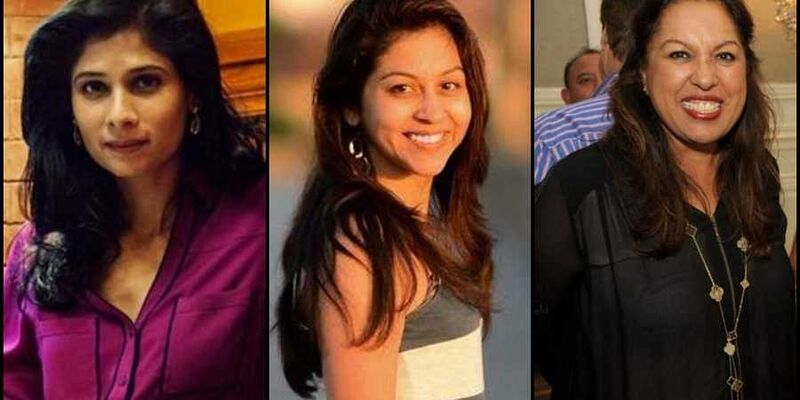 (L-R) Gita Gopinath, Neha Narkhede and Neerja Sethi. Indian women have once again proved that glass ceilings are no barriers for them in 2018! From IMF chief economist Gita Gopinath to Uber’s Komal Mangtani, several of them made headlines for their unparalleled contributions in traditionally male-dominated domains. Their rise also highlighted the steady increase in the number of women in leadership and senior-management roles. Let's take a look at nine powerful Indian women and their journeys in the world of tech and business. 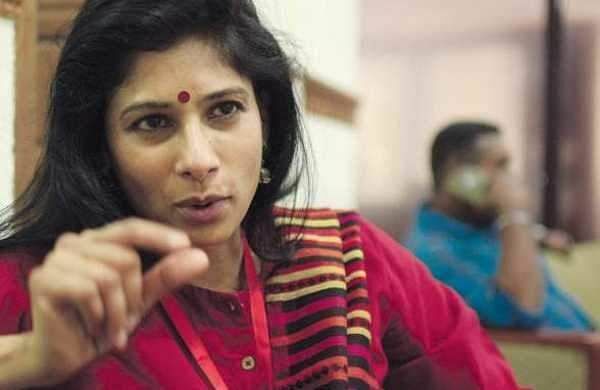 Gita Gopinath had gone to study economics at Delhi's Lady Shri Ram College For Women thinking she would join the Indian Administrative Services. Today, she is, as described by IMF chief Christian Lagarde as ‘…one of the world's outstanding economists, with impeccable academic credentials..'. Gopinath was appointed in October 2018 to direct the leading global body’s research department, becoming the second Indian after former RBI governor Raghuram Rajan to hold the key post. That's not her only record. 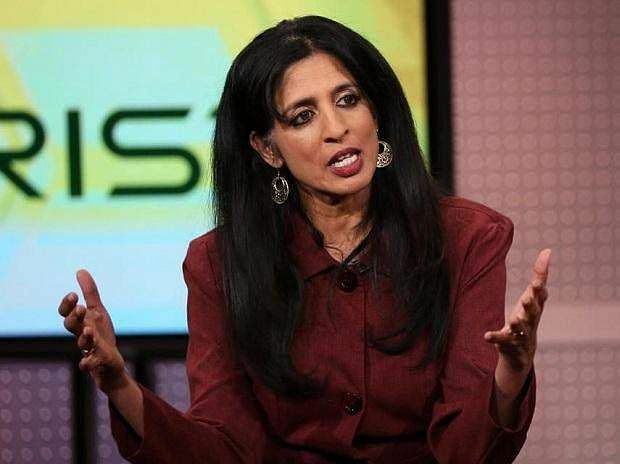 Gopinath, who is the John Zwaanstra Professor of International Studies and Economics at Harvard University, is also the third woman and the first Indian after Nobel laureate Amartya Sen to become a tenured professor at Harvard's Department of Economics. Born in 1971 to Malayali parents in Calcutta and raised in Mysuru, Gopinath grew up speaking more Kannada than Malayalam until her posting as Kerala Chief Minister Pinarayi Vijayan’s economic adviser in 2016, as revealed by her parents in an interview. Her appointment generated controversy due to her neo-liberal economic views, which is in contrast with the policies of the Communist Party of India (Marxist) that leads the Kerala government. Her family’s close relations to noted Communist leaders in Kannur reportedly helped silence some of the critics of her ideological inclinations. She lives in Massachusetts, with her husband Iqbal Dhalibal, former IAS officer and executive director at Abdul Latif Jameel Poverty Action Lab at Department of Economics, Massachusetts Institute of Technology. TRIVIA: Gopinath became the third female economist in the world to occupy a highly influential position this year, after the appointments of Pinelopi Koujianou and Laurence Boone, as chief economists to the World Bank Group and the Organisation for Economic Co-operation and Development (OECD), respectively. Dhivya Suryadevara's journey from Chennai's Mandaveli to the high table at auto major General Motors is the stuff of dreams. Named in June as the first female CFO at 110-year-old GM, she replaced former CFO Chuck Stevens, who had been working at GM for more than 40 years (longer than Suryadevara has been alive). Suryadevara (39), who belongs to a Telugu-speaking family, lost her father when she was very young and grew up with her mother and two elder sisters at their house in Chennai. Her mother, a retired bank employee, continues to live in the city while all her three daughters are settled abroad. She studied in St John's Senior Secondary School in Mandaveli and earned a degree in commerce from the Ethiraj College for Women before pursuing Chartered Accountancy at the Institute of Chartered Accountants of India. At 22, she left to the US to get an MBA from Harvard Business School. Suryadevara, who joined GM in 2005 as a senior analyst at the age of 25, had a crucial hand in the company’s divestment of German automaker Opel, acquisition of driverless car start-up Cruise Automation, investment in ride-sharing firm Lyft and SoftBank's funding in GM Cruise. Suryadevara went on to become vice president and treasurer of corporate finance at GM in 2015, after serving as the CEO of GM Asset Management from 2013. With Suryadevara’s promotion and GM Chairman and CEO Mary Barra leading the company, GM is today one of only two Fortune 500 companies to employ both a female CEO and CFO (the other being Hershey). 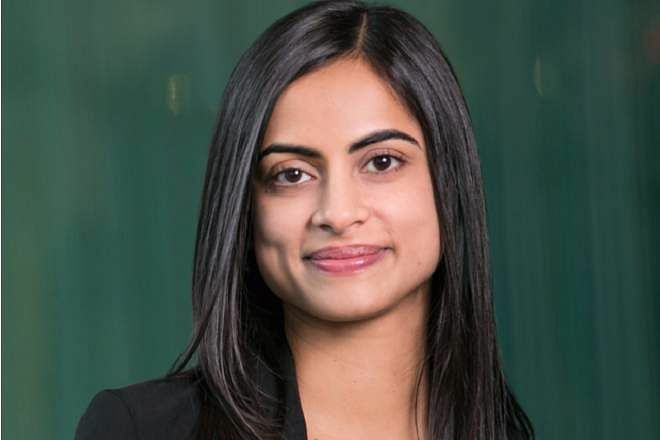 Suryadevara had started her career with a World Bank internship, and also had a stint with PricewaterhouseCoopers before moving to investment banking at UBS. In 2015, she was named in the list of Forbes ‘50 Under 40’. Suryadevara constantly shuttles between New York (where she and her family is based) and Detroit (for work). TRIVIA: According to the 2018 Fortune 500 list, just 24 of these companies have female CEOs, a dip from 2017’s record-breaking number of 32, the highest share of women since the magazine first launched its 500 list in 1955. On the brighter side, there are currently 64 female CFOs in the Fortune 500. 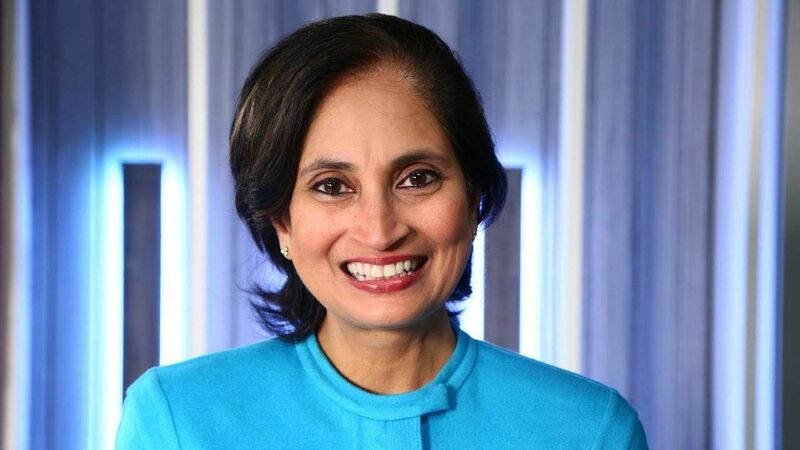 The names of four Indian-origin women on the Forbes list of America's top 50 female technology moguls in December 2018 gave everyone joy: Padmasree Warrior, former chief technology officer (CTO) of Cisco; Komal Mangtani, senior director at app-based cab aggregator Uber; Neha Narkhede, chief technology officer and co-founder of streaming platform Confluent; and Kamakshi Sivaramakrishnan, CEO and founder of identity-management company Drawbridge. Padmasree Warrior, born Yellepeddi Padmasree in Vijayawada, Andhra Pradesh, was one of the few women at the Indian Institute of Technology (IIT), Delhi in the 1980s. The chemical engineering graduate left to the US in 1982 with just 100 dollars in her pocket and took a job with Motorola in 1984 at its semiconductor factory, while working on her doctorate at Cornell University. She stayed with the mobile maker for over 23 years, going on to become Corporate Vice-President and general manager of Motorola's Energy Systems Group, Corporate Vice-President and Chief Technology Officer of its semiconductor sector. Motorola received a National Medal of Technology from President George W. Bush in 2004 during her time there. Warrior has been credited with her contribution to Motorola’s ‘Seamless idea' - where a smartphone could seamlessly tie up all aspects of a person’s life. Motorola dropped it later. Her career at tech conglomerate Cisco started in 2008, reportedly after being persuaded by Cisco’s chief executive officer John Chambers for close to a year. In Warrior’s seven years as CTO and head of strategy, she helped Cisco expand through multiple acquisitions and gave several presentations as the face of the company. After engaging with semiconductors and batteries and cellphones and networks at Motorola and then exploring how the mobile and the Internet could be blended at Cisco, just as the world was waking up to the Internet of Things (IoT), Warrior made another jump. This time, from a Fortune 100 corporation to a 15 person start-up to in search of new ways to use tech to help people. Warrior led the Chinese firm NIO along with founder William Li, to become Tesla’s main rival in delivering electric, driverless cars. In her three years as President and CEO at NIO US (before her sudden exit in November 2018 due to personal reasons), she built a team of 700 at Silicon Valley. Warrior serves on several prestigious boards like those of Microsoft, Spotify and Gap. She is married to her IIT-D classmate and former Motorola colleague Mohandas Warrior, who is CEO of laser manufacturing company Alfalight. TRIVIA: Forbes described Warrior, who is awaiting her ‘next adventure’, as someone who continues to ‘find time to mentor other women in the tech industry, stay in touch with her 1.6 million Twitter followers and follow a nightly meditation routine.’ Warrior is also known for her erstwhile blog “Bits at the Edge”,where she once famously criticized the Apple iPhone. 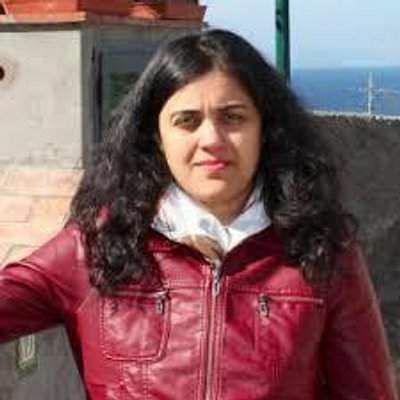 Komal Mangtani, a graduate of Gujarat's Dharamsinh Desai Institute of Technology, is one of the world's most influential female software engineers. As the head of app-based cab aggregator Uber's Business Intelligence team, her team provides the tech that helps the business grow and 'ensures that the rides are physically safe, that communications between riders and drivers are as efficient as possible, that our drivers get there on time.' One of her main tasks is to live track and prevent financial fraud on the platform. 43-year-old Mangtani is an active campaigner for women in engineering as proved by the positions she holds: advisory board member for Women Who Code and head of the #LadyEng group at Uber. The University of California, Berkeley alumnus led Uber to make a 2 million dollar donation to Girls Who Code to close the gender gap in tech for young women. She was formerly head of engineering at Cloud Content Management company Box, where she was reportedly poached from VMWare. 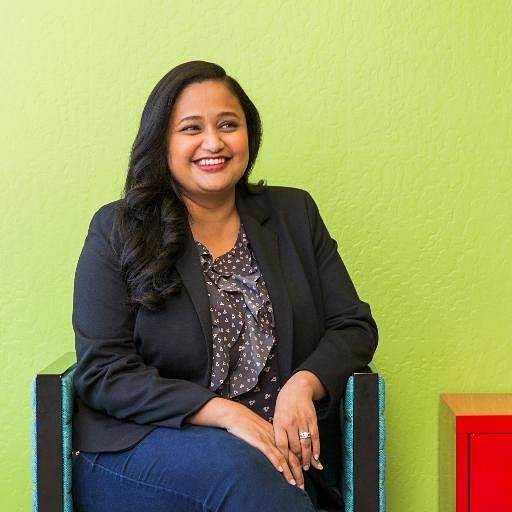 In her six-year-stint at software major VMWare, she had led product development on its cloud service products and helped in several acquisitions. TRIVIA: Mangtani and other women at Uber have been taking pains to reflect a new culture for women at their workplace, following a 'very very strange year' for Uber, as put by whistleblower Susan Fowler. In 2017, the former Uber employee wrote a scathing post on the multiple instances of sexism and sexual assault at the company; this was the final straw after a long series of scandals for Uber, from passenger safety issues to mistreatment of female employees. 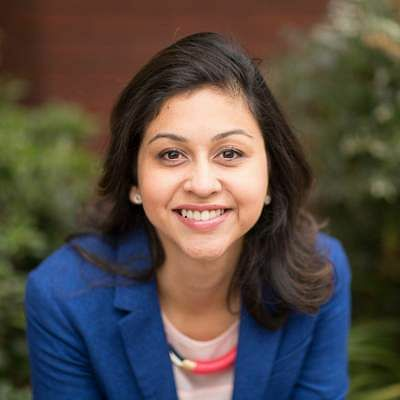 When Neha Narkhede was a Linkedin employee, she came across a big issue: business leaders were unable to make quick decisions due to lack of real-time user data. In 2010, her efforts to fix it led to the revolutionary Apache Kafka, an open-source software platform to help companies react to problems in milliseconds, which she co-founded with her colleagues Jay Kreps and Jun Rao. When the trio saw how much their software was being relied on (over one-third of Fortune 500 companies like Netflix, Uber and Twitter use it), they built their startup Confluent in 2015, a streaming platform that helps businesses adopt Kafka. The company has raised over $80 million in funding from investors like Sequoia Capital and Benchmark. The 32-year-old Mumbai-born Narkhede has always credited her parents for her journey, especially the fact that they got her a computer when she was eight. She is a graduate from the University of Pune and Georgia Tech. TRIVIA: Here is an example of Kafka's contribution, as quoted in a Forbes interview: "Right away companies can change prices (eg, Uber surge fares) or pick the best product to show a customer (such as Netflix suggested titles) by plucking such data as they go by." Kamakshi Sivaramakrishnan is CEO of a company that was named as the fastest-growing company led by a woman in the 2015 Inc. 5000 list. In 2018, Forbes named her among America’s top 50 female technology moguls. The former Google employee created Drawbridge in 2010: a machine learning driven platform that uses device IDs to understand how consumers interact with their online ads, make purchases, and what interfaces they use: phones, laptops, etc. Drawbridge can know if a certain customer feels more comfortable to respond to an ad or make a purchase on a laptop as opposed to their tablet, for example. The South Indian who was raised in Mumbai was formerly Lead Scientist at mobile ad start up AdMob, later acquired by Google in 2009. She has been named one of Business Insider’s “Most Powerful Women in Mobile Advertising” for three years in a row. TRIVIA: While doing her PhD in Information Theory and Algorithms from Stanford University. her work got carried on board the prestigious New Horizons, NASA’s farthest space mission to Pluto. Indian-origin tech execs Jayshree Ullal and Neerja Sethi made it to the Forbes' list of America's 60 richest self-made women in June 2018. Ranked 18th in the list of 60 richest self-made women, Jayshree Ullal is among just 72 self-made women billionaires in the world. The former senior vice-president of Cisco jumped in 2008 to become the president and CEO of Arista Networks, an unheard of startup then, which under her leadership recorded revenues of USD 1.6 billion in 2017. Arista, founded in 2004 by ex-Cisco engineers Kenneth Duda, David Cheriton and Andreas von Bechtolsheim, counts Microsoft as its biggest customer (comprises 16 per cent of Arista's business). After Arista became Cisco's rival in the multibillion-dollar market for ethernet switches used in data centers, Cisco filed a lawsuit alleging Arista copied its intellectual property. Their fight was resolved as on August 2018 after Arista entered a binding agreement with Cisco in which Arista will pay Cisco $400 million. 56-year-old Ullal was born in London, raised in Delhi and moved to the US, where she studied at the San Francisco State University and Santa Clara University. She started work at Cisco in 1993 after it acquired the communications company (Crescendo Communications) where she was working as vice president of marketing. At Cisco, she grew to become senior vice president of Data Center, Switching & Security Technology Group, helping oversee more than 20 mergers and acquisitions. She has also held various product and engineering positions at Ungermann-Bass, Advanced Micro Devices, Inc. and Fairchild Semiconductor. TRIVIA: Jayshree Ullal has a net worth of 1.3 billion dollars as of 2018, through her 5 per cent stake in the company, some of which is earmarked for her two children, niece and nephew. With just 2000 dollars, Neerja Sethi started Syntel in 1980 with her husband Bharat Desai in their Michigan apartment. In July 2018, Syntel was sold to European IT major Atos for a whopping 3.4 billion dollars. The couple is expected to make 2 billion dollars from the deal. Syntel provides technology and IT services utilising a network of software development centres in India, and has 23000 employees, 80 per cent of whom are in India. The husband and wife met at Tata Consultancy Services. Sethi holds an undergraduate degree and MBA from the Delhi University, and a masters degree from Oakland University. Desai, who was born in Kenya and grew up in Mombasa and Ahmedabad, is an IIT-Bombay alumnus and has an MBA from the University of Michigan. TRIVIA: Sethi, the 63-year-old vice president of Syntel, has a net worth of $1 billion. Her husband Desai's net worth as of July 2018 is $1.6 billion. 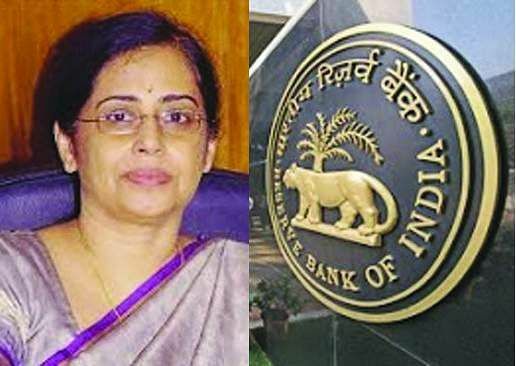 Sudha Balakrishnan is not just the central bank’s first female CFO, she is the first person to occupy such a post since (now former) RBI governor Urjit Patel took over and brought in organizational changes. The chartered accountant and ex-CFO at the National Securities Depository Limited, is the 12th executive director of RBI and will serve a term of three years. Her appointment in May drew opposition from the Reserve Bank of India Officers’ Association which argued that there was no legal requirement for the appointment of a CFO as the RBI did not have to follow any strict accounting standards. It was ex-RBI chief Raghuram Rajan who suggested a designated person to handle the central bank’s books (which was until then an in-house task), and the government had rejected this as it involved changing the RBI Act. This move also reflects the growing demand for specialized financial skill sets across all sectors. Sudha Balakrishnan gets a salary of Rs 400000 (Rs 2 lakh if she avails free housing) every month. Her tasks involve reporting RBI’s financial information, ensuring its accounting policies comply with regulations, overseeing its budget processes and handling RBI's investments in India and abroad. She is also in-charge of the government's bank account department that takes care of payments and collection of revenue and taxes. where is the wink girl ?